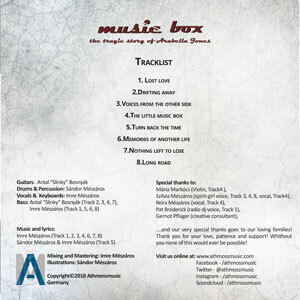 Home New Releases Athmossmusic: “Music Box – The Tragic Story Of Arabella Jones” – spine-tingling music! 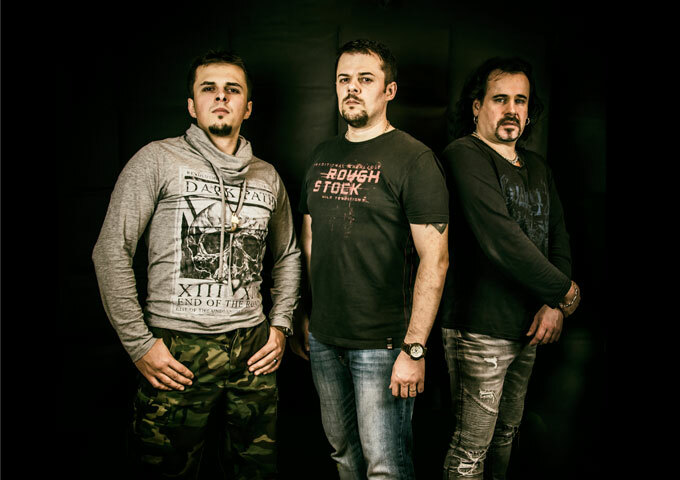 Imre Meszaros “Athmoss” (vocals, keyboards, mixing), Antal “Slinky” Bosnyak (guitar & bass), and Sandor Meszaros “Alexandrex” (drums & percussion) make up the power rock band Athmossmusic that was founded in June 2015. The band’s early singles forged a classic rock which can be heard on tracks such as, ‘Melt the ice’, ‘U R the 1’, ‘Hit it hard’. In 2017, Athmossmusic showed a change in style with the release the progressive rock single ‘Constant Change’. Now, in 2018, they have fully immersed themselves within this idiom on their most ambitious recording to date – the 8 track concept album, entitled “Music Box – The Tragic Story Of Arabella Jones“. The album’s narrative is described as being about a young woman who has lost her beloved man on their wedding day in a car crash, in an attempt to kill herself in the same way, due to her grief, she causes a fatal car accident that kills a little girl and her parents, leaving her to survive. Thereafter, Arabella thinks that she sees the ghost of the little girl killed in that car crash, every time she hears the music of her old music box. This album is about her journey through remorse and grief, and living on the edge of insanity. “Music Box – The Tragic Story Of Arabella Jones” is such an immersive and satisfying listen, because it avoids most of the pitfalls that many modern progressive bands suffer from. The overly compressed production often found within the genre is nowhere to be found. Both sonically and in the songwriting department, the album is dynamic and organic, making listening through the entire album a particularly pleasant experience. There are never any solos that get in the way of the songs. If anything, they add to the music. Most modern prog-rock bands fall short in finding the balance in their attempts to be emotional, melodic and technical, especially in within the context of a concept album as dark as this one. “Music Box – The Tragic Story Of Arabella Jones” offers the near-perfect mix of melodic beauty, sweeping emotions and mind-bending technical finesse. Each of these elements help to validate the existence of the other across these tracks. Furthermore, the album’s perfect sense of flow brings each one of the songs to another level. A large part of this strong structure and foundation has the album’s concept to thank for it. The implications on psychology and spirituality the story-line offers, deserves its own elaboration. Suffice to say, the intensely disturbing concept behind the album, breathes a lot of thought-provoking depth into already stunning music. The idea of looking into Arabella Jones’ life, as the events of her tragic past come to bear on her current incarnation is something that really gets under your skin. Athmossmusic weave their instrumentation and vocal deliveries around the story tightly, bringing to the fore the melodrama of each and every emotional mutation sustained by the leading character. Notwithstanding the profundity of the theme, this is one of the very few concept records I’ve heard that manages to be incredibly in-depth and complex while still being easy-to-follow as a listener. While it’s possible to choose standouts, “Music Box – The Tragic Story Of Arabella Jones” demands being heard from start to finish. Athmossmusic are able to deliver a steady and methodical sound, such as on the beautifully orchestrated and piano driven ‘Voices From The Other Side’ and ‘Turn Back The Time’. But they can also get downright explosive on tracks such as the bone-crushing ‘Drifting Away’, and fast and furious ‘Lost Love’. If any song can get the listener to drop their guard, it would be both, ‘The Little Music Box’ and ‘Nothing Left To Lose’, which constantly move between varying musical atmospheres. So you have sweet melodic turns followed by killer guitar riffs. Add in the sound effects and epic music orchestrations, and you have spine-tingling music. It is already quite difficult to write a good song and pull it off, but to write a whole album and succeed is insanely tough, and to combine both into a record that has to flow, be coherent and lyrically solid, blending the nuances of one primal theme is just incredible if you can make it work. However, it has been done in the past. Queensryche (‘Operation: Mindcrime’), Pink Floyd (‘The Wall’), Rush (‘2112’) and Dream Theater (‘Metropolis Pt. 2: Scenes from a Memory’), have all pulled it of successfully. 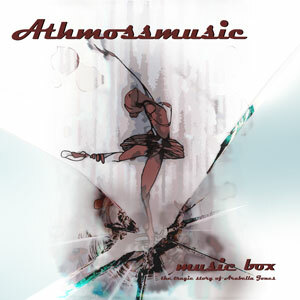 Now sitting on the shelf next to them, we have Athmossmusic (‘Music Box – The Tragic Story Of Arabella Jones’).